I remain amazed at the level of ignorance in America regarding developments in the Middle East. The Iranian people, the REAL Iranian people have a new hero and are voicing their love and gratitude for his support. The Twitter hashtag #ThankYouTrump is trending among the Iranian people who are revolting against the Islamic mullahs and their oppressive leadership. The Iranian people have revolted before and were crushed while Barack Hussein stood by and watched silently (and gleefully, no doubt), not lifting a finger to help the Iranian people in their struggle to free themselves from a brutal regime that executes gays, accused (no need for proof) adultresses, and those rumored to be dissidents against the regime. If the Iranian people can muster the courage to speak out openly and publicly as they are, how can Americans not fully support them from the safety of our (relatively) free country? 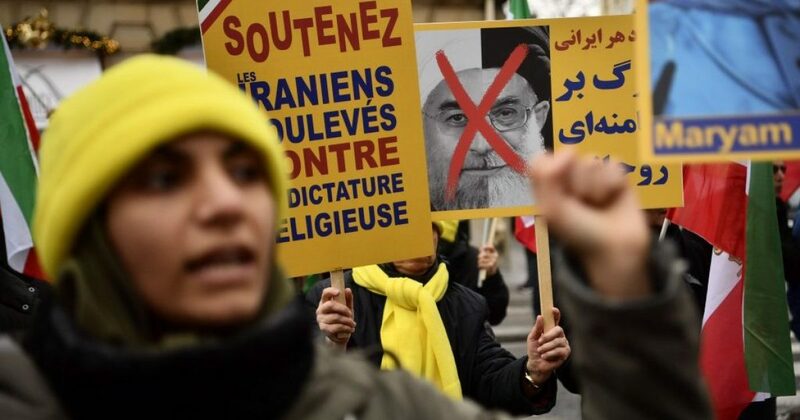 Unlike the middle finger they received from Barack Hussein, the Iranian people now know that they have a powerful ally in President Trump, and they are cheering loudly. No doubt they are organizing again and this time they WILL crush the mullahs. Iranians are tweeting #ThankyouTrump on Twitter, and expressing their appreciation for ending the Iran Deal and letting the people know we stand with them. Trump: "The future of Iran belongs to its people." #ThankYouTrump is not the only hot new hashtag trending among Iranians. How about MIGA: #MakeIranGreatAgain….